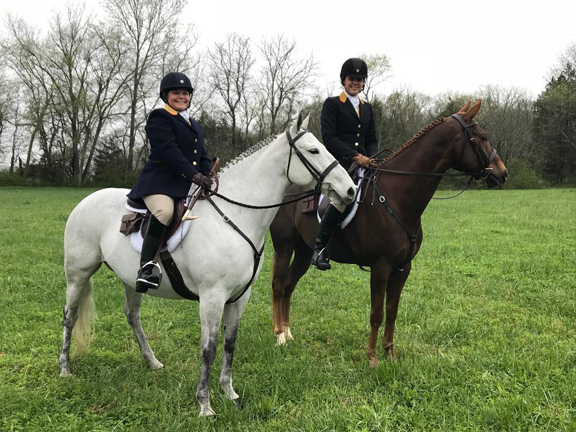 The Hillsboro Hounds held their annual Hunter Pace on April 6, 2018 at Colonial Hill Farm in Lynnville, Tennessee. The Hunter Pace offered three divisions to accommodate a variety of riders: Tally Ho (jumping), Larking (option to jump), Hilltopping (non-jumping). There were also Handy Hunter classes in both the jumping and non-jumping divisions. A handy hunter is a horse or pony that is very easy to maneuver around a course – in the ring or in the hunt field. 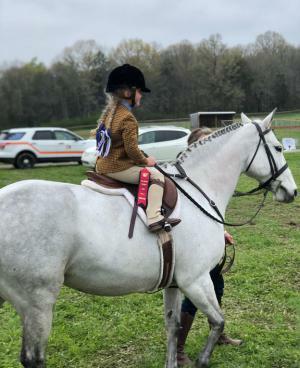 Different elements that might be seen in a handy hunter class include, but are not limited to, fences at the gallop, rollbacks, trot fences, a gate to open and/or close from the horse's back, etc. Hunter Paces are ridden in pairs on a prescribed course through the countryside, vying for an ideal time appropriate for each division of the team’s choice. Ideal times are set by the field masters. The Jumping division consists of hunting coops, other natural jumps, rider gates, and creek crossings. Other divisions go through gates and navigate creeks, or jump at their discretion. 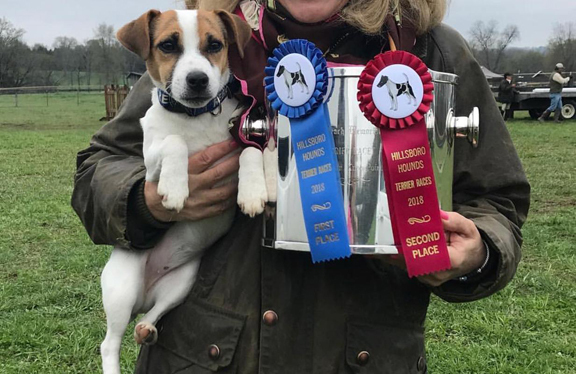 The Tennessee Trifecta — The three local hunts – Cedar Knob, Mells and Hillsboro Hounds – created a year-end award for participation in all three hunts’ Hunter Paces. Points are accumulated by riders at each Hunter Pace based on their placement in a division. The Hillsboro Hounds Hunter Pace was the third and final event in the series. There were also Terrier races! The overall terrier winner was: Reba owned by Fiona and Jim King.